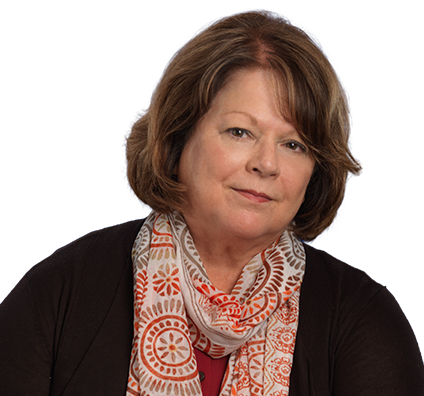 Donna counsels clients in all phases of estate planning and estate and trust administration. This includes structuring and drafting sophisticated estate planning for individuals, business succession planning for closely held businesses, creation and maintenance of limited partnerships and limited liability companies, preparation of buy-sell agreements, employment agreements and other business agreements, structuring lifetime giving plans, planning for charitable giving, and addressing elder law issues. She regularly advises clients regarding the unique rules associated with disposition of tax-deferred retirement accounts as part of the individual's overall estate plan. In addition to analytic and technical legal skills, Donna brings to her clients the ability and desire to help them understand and address their individual estate planning needs. Regularly working with individuals in selecting banks and trust companies to serve as fiduciaries of their estates and trusts. Regularly working with national and regional banks in coordinating ongoing estate planning matters on behalf of mutual clients of the firm and the bank. Representing national and regional bank trust departments in estate and trust administration. Before starting her legal career, Donna practiced as a registered nurse and taught nursing at a liberal arts college. Her teaching and nursing experiences have provided valuable insights in dealing with clients concerning end-of-life issues. Donna also enjoys educating the public at large, frequently making presentations to community and civic groups on various aspects of estate planning. Worked with individuals in selecting banks and trust companies to serve as fiduciaries of their estates and trusts. Worked with national and regional banks in coordinating ongoing estate planning matters on behalf of mutual clients of the firm and the bank. Represented national and regional bank trust departments in estate and trust administration.